John and Mary had all their other children baptized, but there is no baptism record for John in the records of Saint Boniface R.C. Church in Buffalo, New York. Thus it is probably that John was a miscarriage occurring between the births of August Jacob Patz and John Joseph Patz. Even today people talk and consider miscarriages as them having had a child. 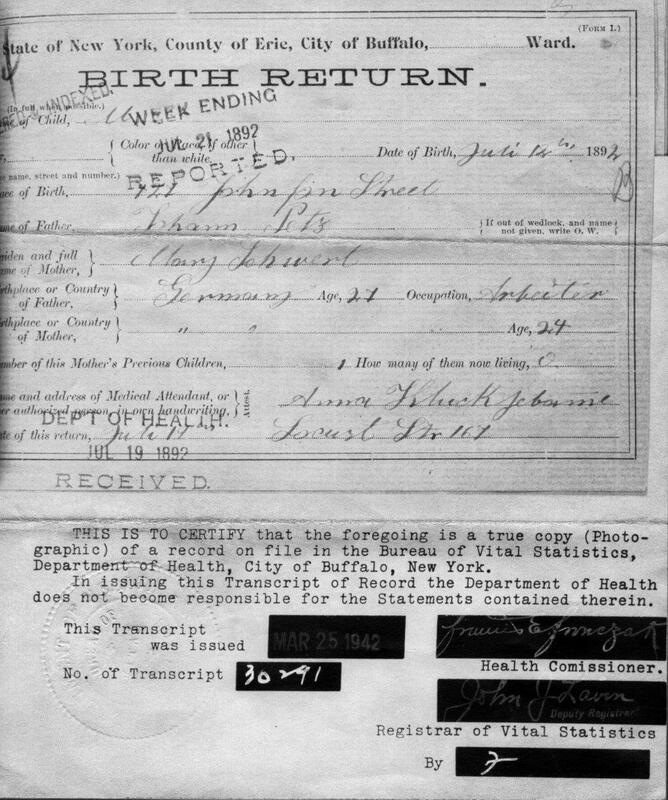 The birth certificate for John Joseph Patz, born July 12, 1892 (and the couple's first surviving child), shows that Mary lists only one previous child -- most likely this was August Jacob Patz, who had died at birth. This lends credence that "John Patz (born 1891?)" was the result of a miscarriage. 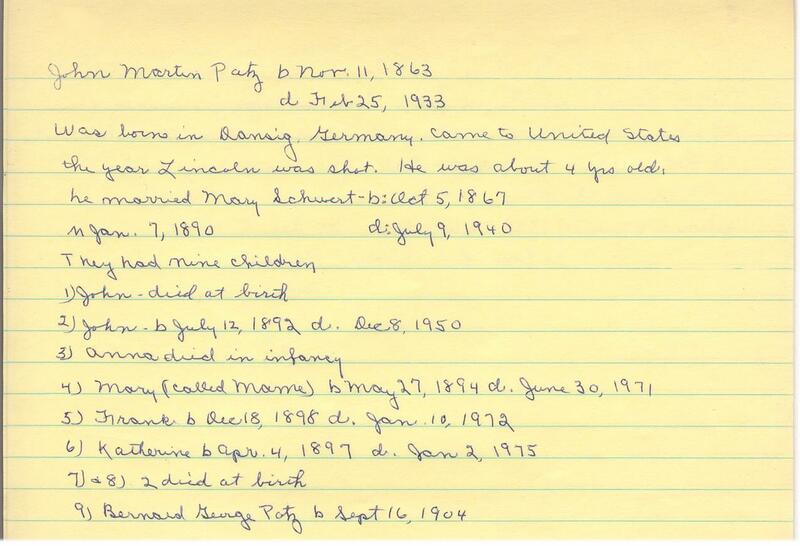 Per Bernard Patz, "The only proof of his existence are my Mom's notes . . . what she told me verbally . . . that they had a baby John who died, and they named the next child John. In addition, the 1900 U.S. Census that shows John and Mary had seven children at the time, with four still living." Text written by Bernard W. Patz, 2002, grandson of Mary (née Schwert) Patz. Birth Certificate: John Joseph Patz, born July 12, 1892, Buffalo, NY. The certificate shows that Mary lists only one previous child -- most likely August Jacob Patz, who had died at birth and was baptized. This lends credence that "John Patz (born 1891?)" was the result of a miscarriage.